Like with many good things, I had first heard about Atlas Obscura through a podcast. Atlas Obscura is a 470-page bible (including the index) of weird and obscure places, “an explorer’s guide to the world’s hidden wonders”. The book features sites from all around the world on all seven continents, including Antarctica. 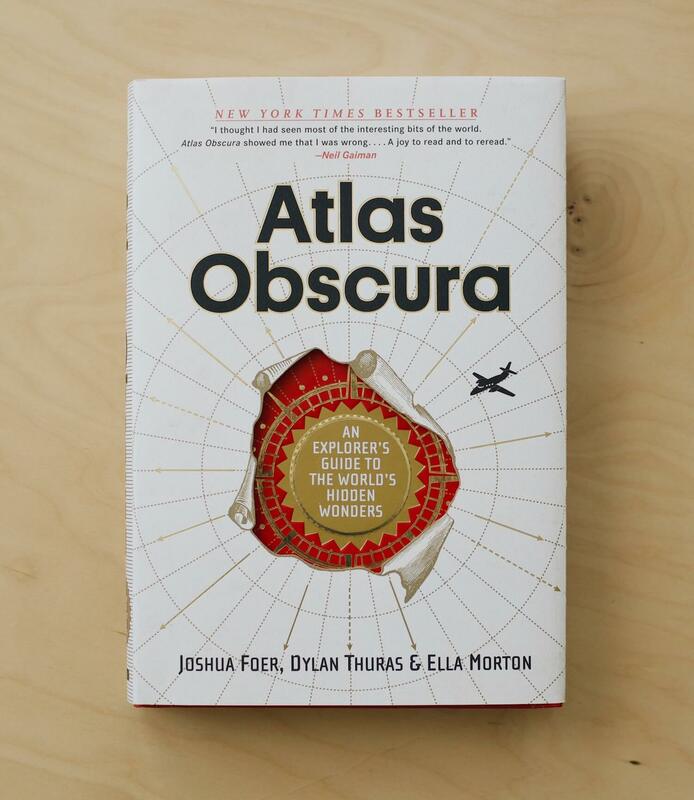 Atlas Obscura by Joshua Foer, Dylan Thuras, and Ella Morton. Front cover (with jacket). The bestselling book is based on the website AtlasObscura.com, which like the book, focuses on shining a light on unique places. The site claims to be “the definitive guide to the world’s wondrous and curious places”. A few among the thousands of featured spots are the Waitomo Glowworm Caves in New Zealand, the Last Incan Grass Bridge in Peru, and the Baikonur Cosmodrome in Kazakstan. The overarching purpose of the book is to make adventurous travelers and explorers aware of the amazing, bizarre, untouched and at times non-touristy sites around the world and in their own backyard. 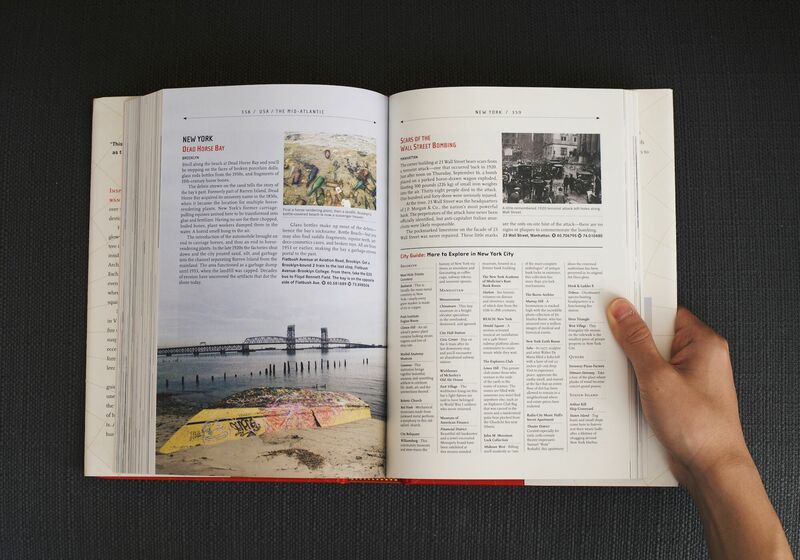 Atlas Obscura is a book that will make you want to explore the world and the places around you. After browsing through the sections for countries I had already visited, I realized how many things I didn’t see. For almost all of the countries, I couldn’t help but think “I have to go back and do that“. Since so many parts of the world are covered, the information for each individual city does not have much depth. To be honest, I was slightly disappointed by the book’s section on New York City. As a local New Yorker, I expected to find truly ‘out there’ places. In reality, they weren’t that ‘hidden’ and I had been to most of them. Maybe I’m just jaded. Additionally, the entire world is covered in this book, so there isn’t much depth for each individual location. It would be great if Atlas Obscura published more in-depth guides for individual states or cities. This isn’t necessarily a pro or a con, but I believe it’s important for me to point out: Many of the locations listed in Atlas Obscura aren’t very obscure. For example, in the book’s short section on New Zealand, travelers are recommend to visit Hobbiton (the site in New Zealand where some scenes from the Hobbit and the Lord of the Rings were shot, which is now a tourist attraction and hobbit-themed world) and the Waitomo Glowworm Caves (a really interesting cave with glowworms where you can go tubing and rafting). Those are both great attractions which I have personally visited, however they are featured on pretty much every guidebook and blog on New Zealand. Compared to the Eiffel tower, they are obscure sites, but by New Zealand standards, those two places are some of the biggest must-do things. 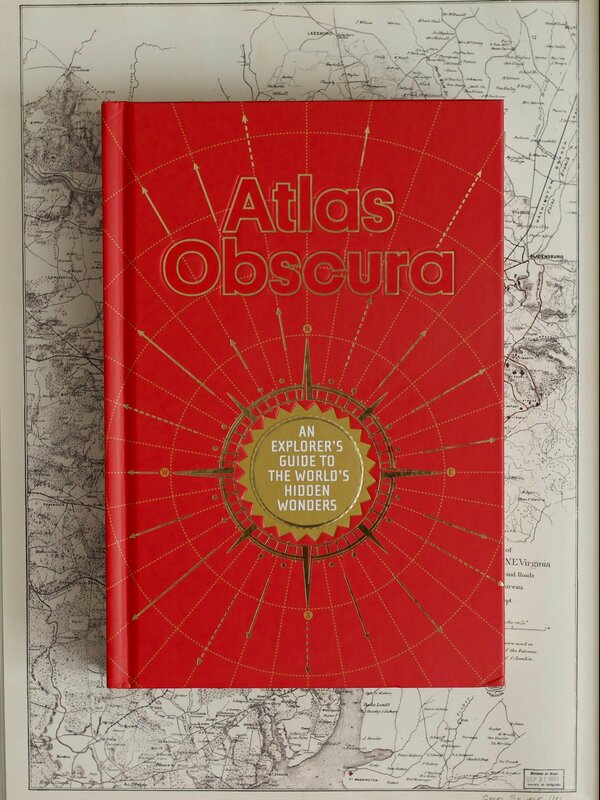 Atlas Obscura is a fun and beautifully designed book, perfect for adventures and eventual-adventurers. It sheds a light on places not normally featured in travel guidebooks. 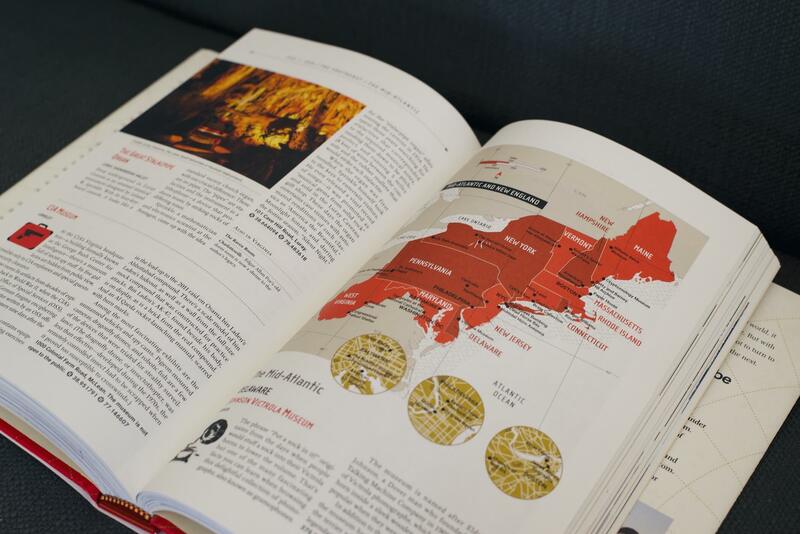 The book isn’t without it’s flaws, though, since much of the information within it can be found for free on the Atlas Obscura website and each individual destination does not have much information. Regardless, Atlas Obscura a fascinating book to read or just flip through and deserves a spot on your coffee table.